Okay, so maybe that’s a little harsh but the fact is, in the case of employment background checks, you can easily find yourself on a slippery slope when you put your trust in a cheap one. Let’s get one thing straight. MOST background checks are inexpensive. That’s just the nature of it. On the whole, unless you’re talking about screening for highly sensitive positions, employment screening is something nearly every company can afford. Even a high quality background screen costs as little as $39 per person, on average. The cheap “half truth” version can often be found for as little as $9.95. “Why not order the cheapest one I can find? Let’s look at how the results you get might differ if you go cheap vs. spend the extra money for a quality. SSN Locator Just think of the time and money that would be wasted (not to mention the potential liability you’d face) if the background check you’ve ordered is performed on the wrong individual. A SSN Locator provides you with the most critical piece of information you need in order to perform an accurate background check: the identity of your applicant. With a cheap version, it’s likely that all you’ll get is verification that a particular SSN number is valid – not whether it actually belongs to the person you’re screening. That’s because not every source of data has a date of birth or other source of identifying information other than name. Do you know how many people there are with the name Michael Gaul? 69, according to one source. As an employer, you can’t possibly rely on this data without some other cross identifier, such as date of birth. And it is highly unlikely you’ll get that level of verification on a half-truth locator. Done properly, the SSN Locator is an inexpensive yet valuable tool in the employment screening process. This should be the first check you run in the background screening process since it establishes the accurate identity and scope of other searches, including criminal and civil records searches. A quality SSN Locator report offers a search of commercial social security-based data that reports the names and addresses associated with a particular SSN. It also validates that the number is in a validly issued range and searches the death index to ensure the SSN does not belong to a deceased individual. National Criminal Database Order a so called ‘nationwide’ or ‘national’ criminal database search from a cheap provider and chances are they’re not going to tell you that there actually is no such thing as a national database of criminal records. Records pulled from database are not comprehensive, nor are they always accurate or up-to-date. So even though they do have value in the screening process, they should never be sold as the end-all-be-all to criminal screening. A cheap check is not going to tell you if that record belongs to your applicant – they’ll simply send records that match the name of your applicant. If your subject name is Michael A Smith, you’re going to get a thousand records. What are you going to do with them? And if an issue does appear on a particular criminal record, the cheap check won’t include verification against local records, as recommended by ConcernedCRAs. This leaves you open to potentially serious problems. A quality provider of database criminal records will use demographic identifiers to ensure that the record you see actually belongs to the subject of the report. If a match between identity and report is not available, it won’t be reported to you. (That’s because it’s better to not know than to use questionable data.) A quality provider will require a full name matched with at least one other demographic identifier, such as DOB, SSN, or address. Because criminal records are indexed on name, this is very important. Importantly, a quality provider will never sell a national criminal database check by itself. It will always be paired with a local criminal check. The local courts are the authoritative source with which to verify any possible hits on a database search. Local Criminal Records Check This one won’t even be available in a cheap background check. And that’s dangerous practice. In a quality background check, local criminal records searches are used to find the most accurate and authoritative information on criminal proceedings relating to felony convictions, misdemeanors, bench warrants, and other local-level court actions. Using any questionable items that have come up on a database search and using address history as a basis of narrowing the local courts down, a quality provider will go direct to the local court system to provide you with accurate records. In the end, the differences really have to do with the provider. Choose a provider who is both willing and capable of taking that extra step with what they get back from a particular records search and what they ultimately deliver to you. Plain and simple, conducting a criminal database search without a local records follow up is unethical at best, at worst perhaps negligent. Handing over reports without a system for handling discrepancies and ensuring accuracy is equally appalling. Both of these practices you can expect from a cheap provider. Regardless the intention, almost done is still not done. 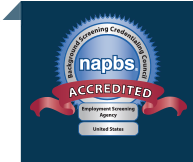 If you’re more interested in the quality of your workforce and protecting your business from unnecessary risks than in saving a few dimes, make us your employment screening partner. 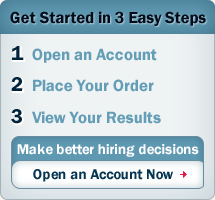 To learn more about our services and pricing, download our Employment Screening Services Guide.